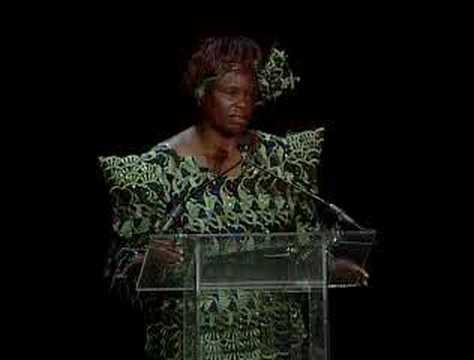 Starting with a small tree nursery in her back yard, Wangari Maathai (d. 2011) launched Kenya’s Green Belt Movement, a grassroots tree-planting organization composed primarily of women working to curtail the devastating social and environmental effects of deforestation and desertification. 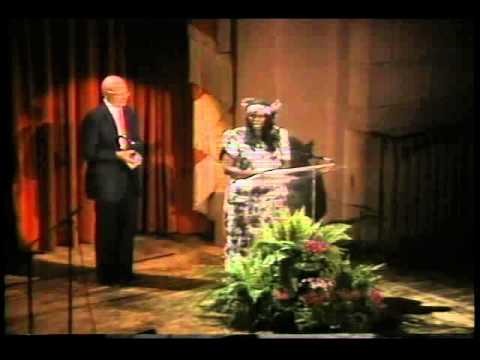 Maathai began her efforts not only to help curb soil erosion, but also to help the burgeoning population become self-sustaining in its use of fuel wood and to create an income-generating activity for rural communities. There are now 5,000 grassroots nurseries throughout Kenya and over 20 million trees have been planted. Meanwhile, the Green Belt Movement conducts seminars for those interested in replicating their approach and an international chapter has been founded to expand the movement beyond Africa. In the late 1980s Maathai led a courageous fight against the construction of a skyscraper scheduled for construction in the middle of Uhuru park, Nairobi’s most important public space. Her vocal opposition to the location of the proposed complex led the government of President Daniel Arap Moi to label both Maathai and the Green Belt Movement “subversive.” She was vilified in Parliament and in the press and forced to vacate her office of 10years with 24 hours’ notice. Nevertheless, thanks to Maathai’s opposition, foreign investors withdrew their support for the Uhuru Park complex and the project was canceled. Maathai evolved from Kenya’s most visible political dissident to one of Africa’s leading environmentalists. Her willingness to speak out on critical social matters has on various occasions provoked the police to break into her home, place her under arrest, club her into unconsciousness and otherwise discourage her from engaging in political activity. Always a pioneer, in 1997 Maathai decided to run for the Kenyan presidency against the entrenched incumbent. However, because of a false, widely distributed report that Maathai had withdrawn from the presidential race, she received a negligible number of votes. Despite this tremendous disappointment, Maathai continued to try to reform the political process so that government addressed the concerns of ordinary Kenyans. 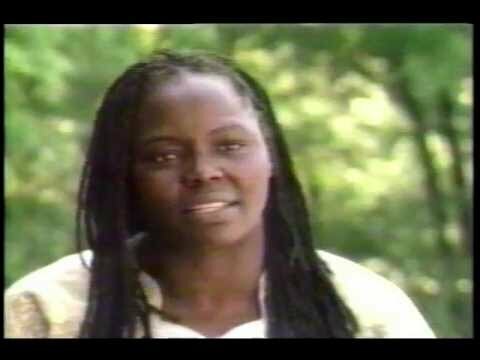 Join the Green Belt Movement and the Wangari Maathai Foundation as they continue Maathai’s work and legacy. Visit the Wangari Maathai Institute for Peace & Environmental Studies (WMI) (part of the University of Nairobi).